Victory is a town in Cayuga County, New York, in the northwestern part of the county, north of Auburn, New York. The town split from the Town of Cato in 1821 after a political dispute. 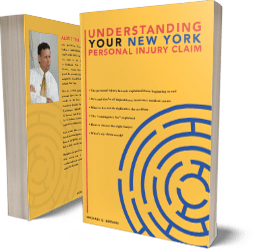 The residents of Victory, like many Cayuga County residents, rely on Michaels & Smolak, located in nearby Auburn, to provide them with medical malpractice and personal injury legal representation. Recent clients from the Victory area include a garbage truck driver who sustained neck and back injuries after being struck by the careless driver of another vehicle, and a motorist who was struck by a vehicle that had crossed over into his lane of traffic. The firm handles all types of injury cases, including motor vehicle accidents, construction accidents, slip and fall cases, medical malpractice cases and just about any other type of case where a person is physically injured through the carelessness or negligence of others. Because this field is highly specialized, and because Michaels & Smolak limits its practice almost exclusively to this type of case, many non-specialized, general lawyers refer this type of case to Michaels & Smolak. In fact, most of the cases Michaels & Smolak handles from Cayuga County are referred to it by other local lawyers who have learned to respect the firm’s success rate in this field. Directions to the Auburn law offices of Michaels & Smolak from Victory can be found HERE.